If you are interested in studying how the brain, its disorders/diseases, chemical imbalances, and the subsequent effects on the mental processes of criminals work, then a Criminal Psychology Degree is the education you want to pursue for your career goals. These specialized psychologists study criminal minds and how they perceive the world in relation to healthy minds. They analyze criminal behaviors, taking into account such factors as childhood, traumatic experiences, physiological differences in brain chemistry, and sociality. Criminal psychologists play a very important role in the criminal justice system, providing law enforcement with valuable insight into the motives a particular criminal might have, as well as psychological reasons for their deviant behavior. When confusion reigns at a crime scene, criminal psychologists are expected to answer the question of why a crime was committed. Students pursuing a criminal psychology degree are taught to accurately diagnose criminal convicts with mental disorders, providing an important perspective in the consideration of punishment, such as if the criminal is mentally competent to stand trial. By integrating themselves into the justice system, criminal psychologists gather data on criminal activities and behavior, contributing research studies that may further society’s understanding of criminality, thereby giving tools in which a criminal might be identified before they are able to do harm to themselves or others. This job is of such importance and responsibility that it is a career of high stress. Therefore, anyone considering a criminal psychology degree should be aware that this field is suited only to individuals who can handle the grave, sometimes disturbing, task of delving into the mind of criminals of all degrees, from petty thieves to serial killers, and being able to remain objectively detached. The first step on the road to a career in criminal psychology is education. In order to gain the title of criminal psychologist, many years of intensive schooling are unavoidable. This means that to become a fully licensed psychologist able to practice, a doctoral degree is required. In the case of a criminal psychology degree, not only is an intensive knowledge of general psychology required, but also students must be proficient in related areas such as law and criminal investigation. The ultimate goal of doctoral school is to perform original research on a chosen subject, and at the end of the degree, to present a thesis pertaining to the field of criminal psychology. There are a multitude of accredited and high ranking graduate schools that offer advanced degrees in criminal psychology. Some of the best criminal psychology programs are already well known – schools such as the University of Denver, in Denver, Colorado, which offers a program blending general psychology with the study of civil, legal, and criminal justice systems. This school is excellent in the broad reach of subjects that its students are instructed in. The University at Albany, SUNY, is another excellent school of top ranking. Students taking classes at the university in Manhattan are exposed to an area with some of the highest crime rates in the United States, meaning access to lots of internships, experience, and guidance from some of the top leaders in the field. The best online criminal psychology degree programs are often linked to schools such as these, in which students may be able to combine on-campus courses with online courses, allowing for more flexibility. Many other online colleges offer exclusively online degrees, but the ranking for these are often lower than those of traditional colleges. Once a student has completed a criminal psychology degree, they have many career options available to them. To work as a licensed criminal psychologist, a doctoral degree is required. This means that those students who wish to work directly diagnosing and studying the minds of criminials must go on to doctoral school following a master’s degree. 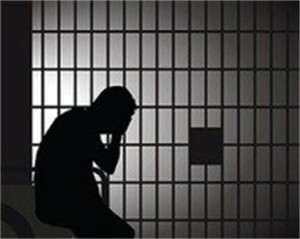 Licensed criminal psychologists may find a career working directly for the government, leading a team of trained forensic investigators and interrogation officers in techniques of drawing information out of a criminal that might lead to a conviction. Criminal psychologists are often the ones that law enforcement officials turn to when they have a hard case to crack, and need insight into what the next move of a criminal might be. They provide perspectives based on knowledge of a criminal’s specific life background. All in all, they play a very important role in putting criminals behind bars yet providing accurate assessments of a criminal’s condition so that punishment is appropriate. Criminal psychologists are also often expected to provide expert testimony in court during criminal trials. The information that they give has much sway over how a criminal is punished due to their mental state. One of the best known criminal psychology careers is that of a criminal profiler. This is a task that is done in order to analyze a particular criminal’s motives, behavioral patterns, and life history in order to help law enforcement apprehend the criminal. Criminal psychology salaries range widely in accordance with what organization or branch of government they work for, as well as seniority. However, they are typically well paid, as well as any clinical psychologist, with an average salary of around $74,500 a year. In order to help bring criminals to justice, people with an interest in getting a criminal psychology degree are desperately needed – they often are the key players in preventing crimes and saving lives.